On March 8, countries around the world will commemorate International Women’s Day. This year’s theme – Balance for Better – invites us to think about how to work together to build a more gender-balanced society. Shared ownership of this goal is an idea that resonates with me both personally and professionally. I am the proud dad of a teenage daughter. Here at PepsiCo GCR, two-thirds of my management team is female. And, the list of female colleagues who have offered me mentorship, collaboration and friendship throughout my career is long and also filled with incredible leaders. I am proud to work at an organization that acknowledges the contributions of all of these women. PepsiCo’s 2025 Sustainability Agenda pledges to continue a focus on achieving gender parity in the organization’s management roles and compensation practices, and frequent accolades show that these efforts are working. 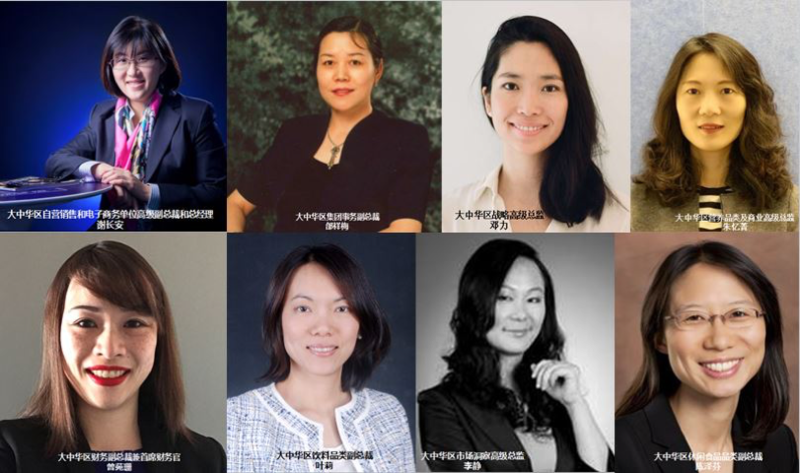 The workplace compensation website Comparably.com included PepsiCo on their list of “2018 Best Companies for Women.” And, PepsiCo Greater China Region has been on China’s “Top Employers” list 9 times in recent years. However, I know that the work on this front is far from done. I appreciate the occasion of International Women’s Day to think about what we can do, today and everyday, to create a more balanced workplace for all. Being a numbers guy, I turned to the data to help me think about creating Balance for Better. The most salient numbers I found? 41 percent and 202 years. A 41% GAP IN ECONOMIC PARITY…THAT COULD TAKE 202 YEARS TO CLOSE. The World Economic Forum’s (WEF) Global Gender Gap Index benchmarks countries on their progress toward gender parity across four dimensions. When it comes to Economic Participation and Opportunity, the gender gap is 41%. We are not even halfway there when it comes to mitigating the barriers to gender balance in workplaces around the world. Most remarkably, the WEF estimates that at current rates of progress, it will take 202 years to close the Economic Opportunity gap. Noting that “more than ever, societies cannot afford to lose out on the skills, ideas and perspectives of half of humanity,” the WEF captures what is at stake when it comes to creating a more gender-balanced workplace. The good news is that rates of workforce participation are approaching equality in many countries. In China, women’s labor participation is 70%, no less than Chinese men. Chinese women contribute to 41% of the national GDP, making theirs the highest share of women’s contributions among all regions in the world. The not-so-good news is that there are still significant and lingering pay gaps between men and women. And, women face significant barriers to taking on senior roles. Across the world, women hold just 34% of managerial positions. There are many, complex reasons for these barriers, and they vary across cultures. However, one of the universal themes is that of “time.” Across the 29 countries for which data are available, women spend an average of twice as much time on housework and other unpaid activities as men. The WEF categorizes this imbalance as a “significant barrier” to career advancement. Social scientists use terms like the “second shift” and the “mental load” to describe the work that women do to manage their homes and families when the paid workday ends. This was the topic of one of the hottest social media posts in China last week, titled, “How tired are the Chinese women? I am stunned after seeing the big data.” Receiving over 100,000 views, it laments the fact that over two-thirds of Chinese women feel like they take the lion’s share or more of family chores. A conversation about this in my office led one of my senior leaders to confide that she has often joked with her husband about her “two jobs.” One at PepsiCo and another that starts the moment she walks in the door of her home. Time spent on unpaid work is of course time not available to spend on career-related tasks, including continuing education, networking, and researching and pursuing new opportunities. In the discussion about gender balance in the workplace, time is a critical soft factor. Invisible, but deeply influential in preserving imbalances. Simply talking about the gendered imbalances in the way men and women spend their time is important, because it puts the issue of time on the radar in a meaningful way. While societies are working to correct the bigger cultural imbalances, we know that females are currently still shouldering most of the household management tasks in countries around the world. How do we set about making meaningful progress in our own work environments? A study conducted by Accenture recently caught my eye, because it uncovered 14 concrete factors most likely to contribute to a diverse and equitable work environment. Half are captured under the categories of “bold leadership” and “comprehensive action,” and these include top-down initiatives like prioritizing gender diversity for management, sharing diversity targets outside the organization, and making meaningful progress in progressing women. I noted earlier, and it bears repeating, I am proud to be part of an organization that is leading on these fronts. Interestingly, the other half of the factors on Accenture’s list fall into a category called “An Empowering Environment.” The recommended steps here include things like giving employees the freedom to be innovative, making remote working a common practice, providing on-the-job training, allowing employees to avoid long-distance travel by using technology, and permitting them to work from home on days when they have a personal commitment. The common thread across these factors is that they all provide the ability to “flex” between work and home responsibilities and time. On this International Women’s Day, let’s commit to empowering all employees with the flexibility to better manage their personal and professional time in a way that works for them. It’s an actionable, meaningful step toward creating the change we all want to see in the world. As we plan for 2019, I suggest we need a reframe, not a revamp. 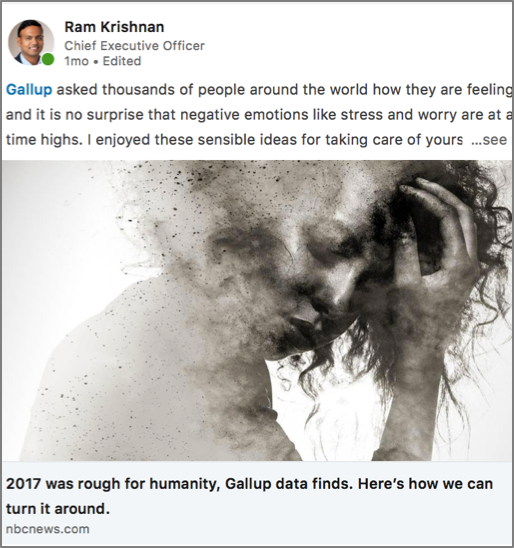 Here are 5 simple but powerful pieces of wisdom to guide us, as captured in some of my most-engaged LinkedIn posts from the past year. One actionable recommendation from psychologists to counteract the swirling negativity: Build social connections. This is the number one way to boost emotional resiliency. That’s right. The simple act of making time to build and maintain relationships is among the most important things we can do to maintain a positive outlook amidst the stress of daily life. In my new city, I notice that it is easy to retreat to the familiarity of my home or hotel, my social media networks or digitally-mediated conversations with U.S.-based family and friends. However, I am always rewarded when I make an effort to build real-time connections with new neighbors or colleagues, even across cultural or language barriers. New connections help me learn new things, gain fresh perspective, and ultimately feel more deeply rooted within my new community. My first simple path to success for the new year: Set aside time each week to engage others in meaningful moments of connection. Real-time connection. Really worth it connection. 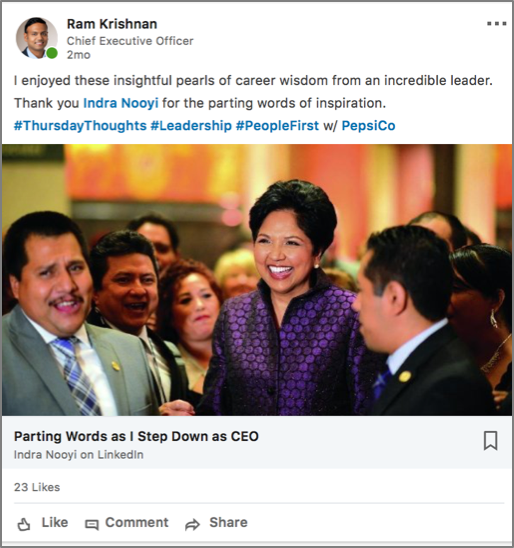 2018 brought the retirement of Indra Nooyi, a leader I am proud to call a mentor and a friend. In her goodbye letter to colleagues and employees, she offered several pearls of wisdom, including encouraging us to have a vision, bring people along with us (speaking of connections), and be mindful of a greater purpose. Pointedly, she reminded us that the world is changing rapidly around us, and that we must become lifelong learners to keep up. Nowhere is this truer than in China, where tech and digital innovation are driving change at warp speed. In my year here, I have had to embrace the dual role of leader and student, and it has reminded me that those two things are not opposites but always two sides of the same coin. I am grateful that it has never been easier to gain knowledge and perspective outside of formal education thanks to the vast network of resources like blogs, TED talks, books, podcasts, and other online resources. Upon arrival in Shanghai one of my first tasks was to articulate a strategic vision for PepsiCo’s Greater China Region. This gave me the occasion to think very intentionally about what really matters within an organization, and the process crystalized for me the importance of passion in the workplace. In the months that followed, I spent a lot of time talking to my teams about the significance of doing what you love and loving what you do. A third approach for winning in the year ahead: let us make time to mindfully consider where our passions lie. If we call upon them, success will follow. During my first year in Shanghai I’ve been confronted with so many different ways of doing, well, almost everything. Critical to my success here has been the ability to practice empathy by challenging my often Western-centric perspective and turning the tables to understand why things are done a certain way in China. For example, how Chinese consumer’s view the role of food in their long term health , their perceptions of color in communication etc. It turns out the practice of empathy is not only a survival skill for expat CEOs, but a critical skill for the workplace of the future. In 2018, MIT researchers reviewed the results of a global study of 1,000+ companies using or testing machine learning or AI. They found that the robot-enabled workplace of the future will require a new set of job roles including trainers, explainer­s and sustainers who will form a critical link between organizations and their AI. The most important skill for all of these uniquely human roles? You guessed it, a deep-rooted empathy, which will be a key predictor of success in the coming age of automation. Practicing intentional empathy will open up a fourth path to success in the year ahead. Let us together strive always to understand unfamiliar and even uncomfortable points of view. 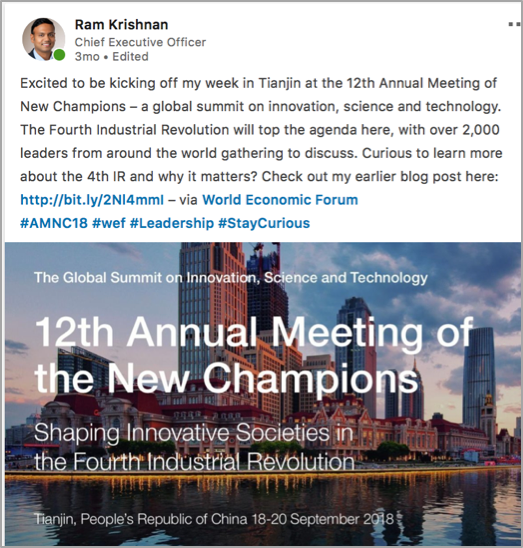 This past year I attended two global gatherings that hadn’t been on my radar before moving East: The WEF’s annual Meeting of New Champions in Tianjin and the Boao Forum for Asia on the beautiful Chinese island of Hainan. Both of these events expanded my horizons. New locales, new networks, new ways of thinking, even new ways of framing and approaching global challenges. I came away from each feeling energized, with a renewed sense of the scale of our world and my role within it. Ultimately, each of these trips reminded me that stepping out of my comfort zone is not easy, but that embracing new opportunities and experiences is always rewarding. A final path to success in the year ahead? Let’s nourish our innate curiosity and make time to discover new things. 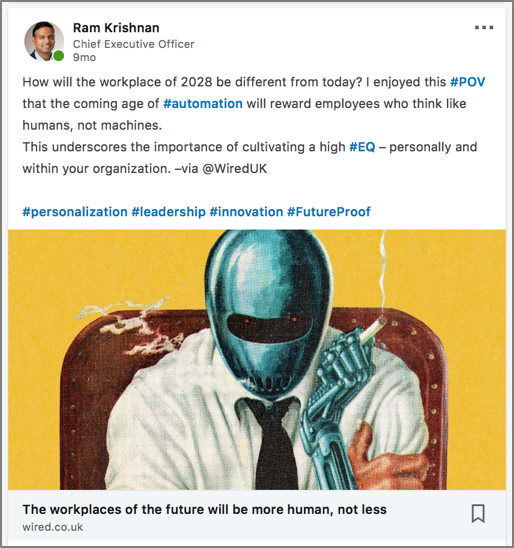 We’ll feel more connected, more alive, and be more prepared to thrive in the workplace of the future. Build connections, be a lifelong learner, be passionate, practice empathy, embrace new experiences. This feels like a 2019 roadmap that is equal parts simple and powerful, and it is one that I will embrace in the year ahead. However you choose to navigate what’s next, best wishes for a happy, healthy, and productive 2019. 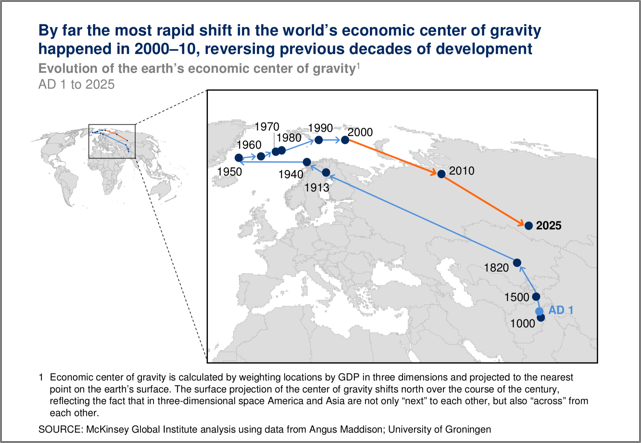 The striking map below shows how the world’s economic “center of gravity” has shifted since AD 1. A “dizzying acceleration” (as described by The Guardian) took place from 2000 – 2010 when the center lunged back to Asia, reversing almost 2,000 years of steady movement west. This eastward momentum illustrates the forthcoming “Asian Century” frequently discussed in books, the press and cultural conversations. While opinions about the particulars vary, experts agree that Asia will be the key region for global trade in next several decades. Rapid urbanization and rising incomes mean increased purchasing power for Asian consumers. Further, there are more of these consumers than ever. The Brookings Institute estimates that 88% of the next 1 billion people to enter the global middle class will live in Asia, with 350 million to come from China alone. This large population with growing purchasing power will drive a significant portion of the world’s future economic growth. A year into my move from North America to Asia, it is clear Asia’s economic growth will create two flows of goods and ideas. Undoubtedly, western products will pour IN (as they already are) to satisfy the needs and wants of a growing middle class. Alibaba, for example, recently said the company expects to import $200 billion in goods from 120 countries over the next 5 years. Asian goods and ideas will also flow OUT, influencing the world in new and interesting ways. 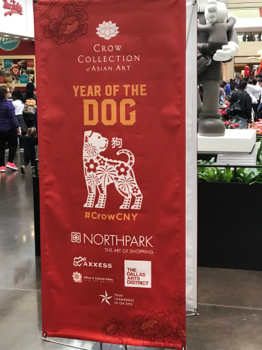 Over the past year, my frequent travels between LGA and PVG have given me a vantage point to see the ways Chinese culture in particular is shaping the West. China’s middle class is increasingly health-conscious and interested in safer, more nutritious, more sustainable fare. Their growing purchasing power is fueling a search for new solutions. The country’s first food accelerator, Bits x Bites is exploring innovative ideas like authentic tasting lab-grown meat, alternative protein sources and “smart” versions of foods like white rice with lower, healthier glycemic indexes. As part of the quest for health, ancient eastern medicinal foods, like Kombucha, are finding their way into mainstream cooking in China and abroad. Start-up Papp’s tea, for example, touts a “Tea Lab” with researchers devoted to designing functional tea blends to improve a wide range of health conditions. China’s large and savvy group of online food shoppers provides a critical mass for models that have struggled to scale in the West. Meal-Kit Delivery Startup 321 Cooking delivers fresh, pre-packaged ready to cook ingredients to eager shoppers in China’s metro areas. And, digital innovations like facial recognition checkout, scan-and-go through WeChat, and free 1-hour delivery are de rigeur in the country’s grocery stores. Few doubt that the future of growing, buying and preparing food will be tech-enabled. Asia, and China in particular, are at the forefront of this movement. In the West, luxury is most often defined by the physical retail experience. Think: elaborate stores, exquisite packaging, and a high level of personal customer service. In China, companies are being challenged to create luxury experiences for mobile-first shoppers who often prefer a digital environment, and this is driving novel solutions. Gamified retail experiences like Dior’s online treasure hunt where players redeem points to purchase and unlock access to exclusive collections, Chanel’s beauty arcade pop-up created specifically to appeal in gamehall-crazy Hong Kong, and JD’s white glove delivery service, which sends smartly-dressed butlers in suits to deliver high-ticket items, immediately imparting status on their recipients. Worldwide, the very definition of “luxury” is changing, and China is pushing that envelope. Luxury isn’t the only area of disruption. China’s, young and mobile-first shoppers are inspiring innovation in mainstream retail as well. Companies of all sizes are experimenting with corner stores transformed by digital apps and AI-personalization, self-service “box store” concepts, shoppable livestreams on social media, and robot-run restaurants – just to name a few. The world over, the boundaries of physical and online are morphing to create a seamless, always-on retail experience. True, some of these innovations can be found in the West, but I agree with Forbes that China offers an unrivaled speed of innovation, scale, and variety of new retail formats. Chinese companies are no longer content with making components or cheap copies, and many are emerging as innovators in their own right. (See: my blog on the rise Shenzhen maker culture). Asian tech companies, in particular, have made bold moves to claim a presence on the world’s stage. 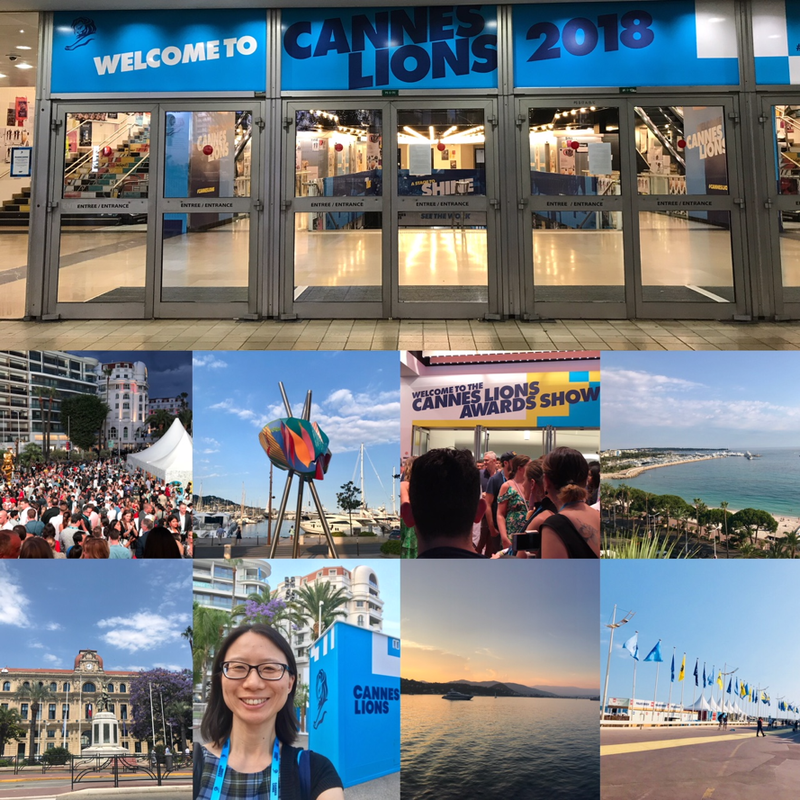 For the first time ever, the global Cannes Festival had an entire day devoted to China tech, where tech giants attended en masse to share an array of cutting-edge case studies. 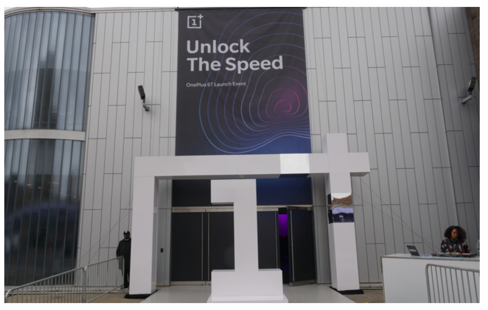 And, Chinese manufacturers like Xiaomi, One Plus, and Huawei have recently introduced new products with splashy launches and flagship stores in global cities including London and NYC. Increasingly, Chinese tech offerings are not iterative but bring wholly new innovations like 5G, sophisticated AI systems, and design inspired by collaboration with Western influences like Porsche. Chinese cities are bustling with new ideas and tech-driven innovation, and I expect the pace will only increase in the year ahead. China will be the world’s most visited country by 2030, with the largest number of inbound and outbound travelers. As Chinese consumers circle the globe and receive international visitors, new ideas abound. A few great examples include language, celebrations, and shopping culture. The “Chinglish” language is challenging conventions of common speech, creating new phrases and expressions. 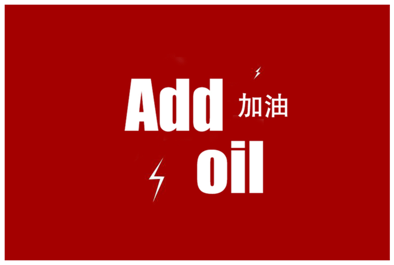 For example, the term “add Oil” the translation of a popular Chinese expression of encouragement, incitement or support was recently added to Webster’s Dictionary. Eastern holidays like Chinese New Year are increasingly celebrated across the West, creating new cultural traditions, not to mention new consumption moments. This year, it was interesting to see U.S. companies launching their own Single’s Day sales with a uniquely American emphasis on self-care, and I look for the momentum around new shopping moments to continue. When I think of the new flows of ideas emanating from Asia – China in particular, I think of the word bricolage. This term was coined by social scientist Claude Lévi-Strauss to describe something new that is constructed from a diverse range of available things. In that spirit of innovation, I am excited to think about what will be inspired by new infusions from Asian culture in the year ahead. People living outside of China often think of the country in terms of its megacities. And it is true that storied places like Beijing, Shanghai and Shenzhen loom large in terms of economic and cultural influence. But, did you know that the country’s rural villages (and smaller suburban enclaves) are also centers of economic growth and innovation? Consumers in China’s third- and fourth-tier cities and vast rural areas are enjoying a rise in disposable income and new options for spending their dollars. Since 2012, consumption growth in these areas has been higher than in larger Tier 1 and Tier 2 cities, and analysts predict that rural China will account for two-thirds of the country’s consumption growth by 2030. China’s online retail market is expected to double in that time period, and that growth will also come disproportionately from rural areas. Business leaders inside and outside of China should take note of rural China’s retail boom for three reasons. #1: It creates an unprecedented growth opportunity for companies of all types and sizes. #2: Rural China is a new frontier for retail innovation. #3: China’s rural economy provides an opportunity to see the inventive fusion of commerce and social good. Since my arrival in Shanghai as PepsiCo Greater China Region’s (GCR) CEO, it has been a great learning experience for me to venture outside of China’s urbanized provincial centers into rural areas. I have been incredibly impressed by the fast-growing infrastructure and the ubiquitous signs of economic growth. Theme #1: An unprecedented growth opportunity for companies of all types and sizes. We know the Internet is a transformative technology worldwide, and in China today it is empowering a new cohort of rural shoppers. According to the China Internet Report, in 2017, Internet penetration in rural China was 35%, with over 209 million users. This data point captures two opportunities. First, there are a huge number of Internet “newbies” in China. Second, there are millions more who have yet to come online. Infrastructure upgrades and the widespread adoption of mobile pay mean that rural China’s Internet users quickly turn into online shoppers. At least half of the population in even China’s most remote villages will be equipped with eCommerce capabilities by 2020. This means that the race is on. As online retail growth in China’s megacities reaches a saturation point, eCommerce companies are eyeing small-cities and rural villages as the next frontiers for growth. They are aided by the fact that the Chinese government has poured millions into road and high-speed rail construction in the past decade, making the delivery of goods increasingly possible. Today, the average rural dweller can buy clothes from indie designers selling on Taobao, books from retailers like Amazon or DangDang, and home appliances, all from their mobile phone. I’ve seen this firsthand in my own visits, where one cannot miss the impact of growing access to technology and mushrooming retail options. For example, most farmers today have access to mobile phones and many have vehicles, two things that would have been unheard of even a decade ago. Rural shoppers are exploring new categories, like baby goods and appliances, and determining what product features are important. They are trying new brands and forming their (often immutable) first impressions. They are experimenting with the ways things they buy can help them express their identities. At PepsiCo, we see our own products included in this cycle of discovery and trial. Beverages like Pepsi and Marinda were relatively unknown in many villages just 10 years ago. Today, consumers are trying them with zeal, and they often appear on their “must have” lists for holiday celebrations and family get-togethers. In this dynamic setting, business leaders within China and around the world have an opportunity to ask themselves how their products and services can fit into this changing retail landscape. Theme #2: A New Frontier for Retail Innovation. Necessity is often the mother of invention, and this is certainly on display in rural China, where innovative retail solutions are everywhere. I’ll give you two great examples. First, the booming rural market has inspired new retail job types. In the absence of physical stores, eCommerce giant JD has needed to think about new ways to connote luxury. One unique solution is their “White Glove Delivery Service,” which sends drivers smartly dressed in suits, ties, and the requisite white gloves to deliver expensive products like smartphones right to consumers’ doors. A visit from one of these “product chauffeurs” is a status symbol in rural China, and the drivers themselves can become village celebrities and influencers. New business models are also emerging, as evidenced by the wild growth of Pinduoduo. I’ve written previously about this social shopping network, which works on the premise that the more people come together to purchase, the less they pay. The app has experienced massive growth, gaining over 300 million users in 2017 and reporting RMB $262.1 billion in revenue. Almost two-thirds of Pinduoduo’s revenue comes from Tier 3 cities and rural areas, where the company has found a sweet spot with female shoppers. There is great potential for social shopping to help facilitate the discovery and adoption of new brands in places where inexperienced consumers may distrust formal marketing efforts. The unique needs of rural China are sparking novel innovations, which are noteworthy in their own right. Equally interesting, I believe, is the possibility that some of these ideas could flow back into larger markets to inspire new retail approaches there as well. The 2018 China Internet Report identified four overarching themes influencing China today, and one of these is that the Internet is empowering the rural population. Growth in Internet access and eCommerce has had broad social impacts, like more access to media, education options and choices for mobility. It is estimated that at least 55 million students in rural schools are now reachable via live-streaming classes. And, over 78 million rural users get their news from one of the three primary news apps at least once a month. One dimension of this rural empowerment is the unique fusion of commerce and social good. A great example is the rise of the Taobao Village. This term refers to any rural village where at least 10% of households sell goods online, with annual sales of at least $US 1.6 million. In 2017, there are an estimated 2,100 such villages, creating an estimated 1.3 million new jobs throughout rural China. These portals into the global economy have transformed life in villages, providing new options for jobs and economic activity. On another front, Alibaba recently announced ambitious plans to alleviate rural poverty by investing over $US 700 million in the eCommerce platform Huitongda. The initiative uses technology to help poor farmers improve their business, for example through things like analyzing consumption data to upgrade planting schedules, using video recognition technology to improve animal survival rates and providing loans to help under-resourced villagers obtain operating capital for small business. Already, there are almost 10 million online shops run by rural farmers, with many more slated to follow. Signs of the retail explosion are everywhere, remaking life in rural China. Within PepsiCo GCR, our commitment to being 'In China, For China, with China' includes not only Tier 1 and Tier 2 cities but extends to these fast-changing rural areas as well where we are actively innovating to meet the needs of rural China. We are developing products to meet rural consumers’ growing interest in health and wellness products through our Quaker portfolio. And, are working to extend distribution reach to additional Tier-4 markets where Pepsi and Lay’s don’t yet serve consumers. It is my great privilege to lead during this time of vast and fast-paced retail transformation. Thanks for traveling a part of this journey with me, and I hope you’ll keep this part of the world on your radar as an incubator for emerging retail trends. A curious headline caught my eye recently: “In A Chinese Village, Elderly Farmers Are Now Yogis.” In the rural hamlet of Yugouliang, where the average age is 65, a government-sponsored yoga program is all the rage and is credited with reenergizing senior citizen residents. The program leader, a senior himself, learned yoga using YouTube videos and touts ambitious plans to expand the program to neighboring villages. This heart-warming story highlights an important demographic trend that is shaping business and tech culture here in China – the graying of the population. According to the United Nations, China is aging more rapidly than any other country in the world. By 2050, the number of people in China age 60 or older is expected to reach 487 million – more than one-third of the total population. This will be a huge shift from previous decades when younger people, with many working years ahead of them, formed the bulk of the population. This staggering statistic is writ large in daily life here, and the trend is not unique to China. Countries around the globe are experiencing a similar growth of their senior populations, as the babies born during the post-WWII boom age into later life. By 2050, there will be 1.6 billion more seniors living on the planet than there are today. This trend fascinates me both personally and professionally. In my own family, I have seen firsthand how tech and eCommerce innovations like FaceTime and grocery delivery enrich the lives of my parents and in-laws. Bigger picture, I am interested in how the needs of this mushrooming senior cohort will inspire tech advances and drive economic growth around the globe. The growing number of senior shoppers will create a global “Silver Economy” that represents a vast economic opportunity, particularly in the retail sector. Consulting firm AT Kearney projects that the global spending power of the over-60s will reach $15 trillion USD by 2020. In China alone, the market for goods and services for elderly consumers will reach $17 trillion in 2050, making it one-third of China's economy. This is a remarkable shift from previous decades, because the biggest spenders of the future will be the elderly, not the youthful Millennials who so often dominate boardroom conversations. We are at a cultural turning point, and it is an important time for business leaders to recognize the elderly as the seasoned consumers that they are. Serving this demographic is an important strategic objective within PepsiCo China. As the company strives to continue our almost four-decade legacy of bringing delicious and nutritious products to consumers of all ages, we recognize that meeting aging shoppers’ needs means going well beyond “bolting on” a senior strategy to re-thinking every aspect of the business from a senior’s point of view. Here are three ways to think about better serving senior shoppers. While retail buzzes with an emphasis on “experience,” we often think through a millennial lens (e.g., pop-up shops and social media-worthy merchandising.) What could happen if we defined “great experience” with Silver Shoppers in mind? Japan is known for already having a sizable senior population, and the country’s retail sector provides some great thought-starters. For example, Japanese retailer Aeon recently remodeled stores to better accommodate senior shoppers, including exercise spaces, complimentary green tea stands, resting areas, and a curated assortment of items with senior appeal. I can 100% see my mother-in-law becoming a devotee of an in-store exercise group, how about yours? In the grocery sector, 7-Eleven stores have broadened their assortment to become a one-stop-shop for elderly shoppers who may find it more difficult to visit multiple destinations. These so-called “hubs” of the senior community now offer an expanding array of items, including: meal kits, home goods, healthcare items, bill pay, ticket purchasing, and meal delivery services. I can only imagine that own my in-laws in Dallas would enthusiastically embrace a similar one-stop-shop solution. Companies can and should become an important link to ensure seniors do not end up on the wrong side of the digital tech divide. In China, NGOs and businesses have mobilized to make sure that older citizens are able to benefit from tech innovation. In February, Alibaba’s Taobao launched a new shopping channel designed specifically for seniors. The company simplified their interface, stripping away a lot of what seniors didn’t need and making it easier to register, browse, and gain product recommendations. 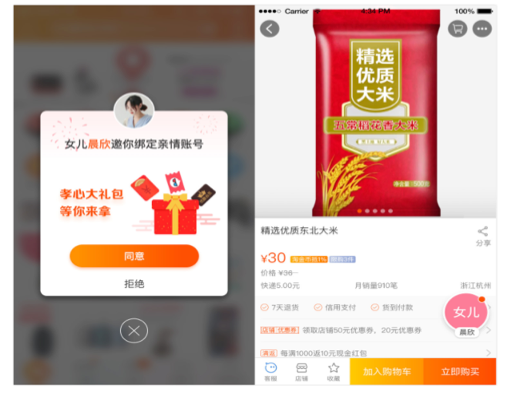 Alibaba also recognized the difficulties that come with shopping for aging parents and built a family feature into the new platform. Senior parents can share products they want, ask questions, and consult with their adult children from within the app. For their part, the “kids” can use the “Pay for Me” option to digitally pay for purchases. I applaud this initiative, which highlights the great transformation that can happen when a company aims to simplify with senior shoppers in mind. I am inspired to think that sound initiatives for courting the lucrative senior market can serve the dual role of helping seniors live richer, happier lives. To fuel innovation, companies should keep in mind that silver shoppers are willing and ready to be inspired, challenged and counseled. In the aforementioned Drum study, 76% of senior respondents said that companies and brands should play a more important role in improving their quality of life, while 60% think that brands should play the role of life coach. PepsiCo’s Quaker brand provides a nice example in this arena. As the #1 global oats brand, Quaker is committed to ensuring that the concept of whole grains is brought to more households across China, including those of seniors. This mission comes to life through innovation and education. In 2018 Quaker is launching Chia Multi-Grain Instant Oatmeal, bringing enhanced nutrition to seniors. Quaker is also partnering for the first time with TangDou, a very popular app with over 50MM senior users that focuses on square dancing, a common activity for seniors to stay active and enabling Quaker to educate more around the importance of whole grains. All of these products meet and guide the needs and desires of senior shoppers, who have shown a robust and growing interest in healthier food options in recent years. We are also partnering with the CNS (Chinese Nutrition Society) to give senior shoppers access to good nutritional advice during the annual National Nutrition Week and through ongoing marketing activities. Further afield, innovations like drone delivery and mobile grocery trucks could help bring much-needed goods and services TO senior shoppers who struggle to frequent physical stores. All of these examples inspire me to think about the huge potential for doing business with seniors while doing good in their lives. I am excited to continue to find new and innovative ways to serve Silver Shoppers. As we collectively plan for the tremendous opportunity the Silver Economy provides, let’s see beyond the data point of this huge demographic trend to serve the people, finding ways to meet their unique needs along the way.